Think of prenatal yoga as another type of childbirth-preparation class. Prenatal yoga is safe for you and your baby and can have many benefits. Prenatal yoga is about preparing yourself for motherhood on various levels. Prenatal yoga focuses on breathing, improving sleep, reducing stress and anxiety, restorative poses, core strength, pelvic floor work and stamina. It conditions the mind and the body. It is also thought that prenatal yoga helps prepare for labor and promotes your baby’s health. Expectant mothers can start taking yoga or continue their yoga practices safely with the help of a qualified yoga instructor during their pregnancies. Your yoga instructor can show you how to adapt yoga poses so that they are safe to do during your pregnancy. Prenatal yoga is customized and it is meant to benefit women during all stages of pregnancy. It can help provide physical strengthening and support and emotional support for expectant mothers. 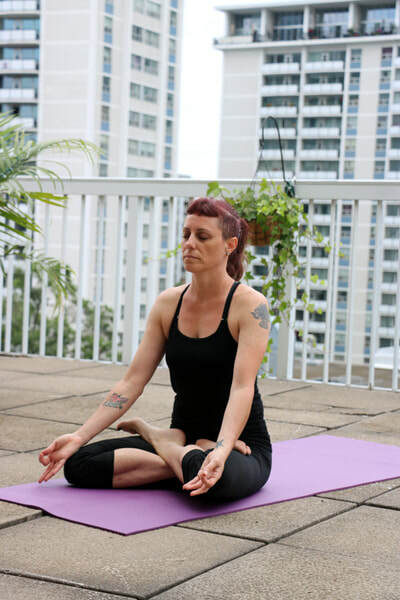 Melanie Schorr teaches a variety of yoga types. When she ran her yoga studio in Koh Phangan, Thailand, she began teaching pre-and post-natal classes privately. If you are pregnant and want to learn more about prenatal yoga, book your private lesson with Melanie and experience the benefits first hand.